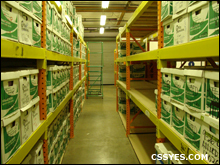 With 2 locations in Southern California, Conveyor & Storage Solutions, Inc is the most economical choice for asset recovery. 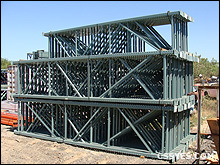 In business since 1992, we have tons of experience in getting you top dollar for your warehouse storage equipment. We are a 1-stop outfit, which provides disassembly and movement of the materials. All of our workers are insured and are OSHA certified. We work fast and efficient, and know that getting you out of your warehouse in a timely manner is important. Call us for a quick quote. 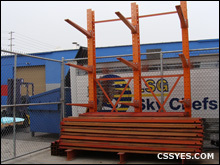 We purchase and remove pallet rack systems of all sizes. We request pictures from materials prior visiting in person for a better assessment. 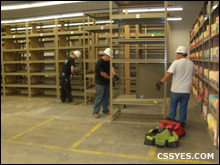 Industrial shelving system is very labor intense regarding moving and packaging properly. We handle this part when purchasing systems from our clients. 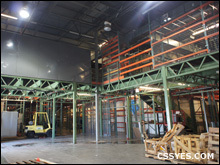 This is the latest mezzanine we purchased in 2011. 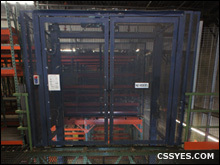 Vertical reciprocating conveyor (VRC) for mezzanine and catwalk systems. 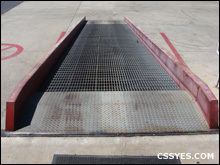 We purchase dock ramps and dock equipment for warehouses. 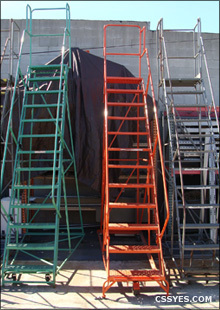 We buy industrial pre-owned rolling ladders.